We all have our favorite characters and actors from Batman, but how many of us are fanboys for Executive Producer William Dozier? Well, for one, there's Oscar Lilley, proxy researcher at the American Heritage Center in Laramie, Wyoming. In the process of working with Dozier's papers, Oscar has grown intrigued with Dozier's backstory and impressed by how he did his job. 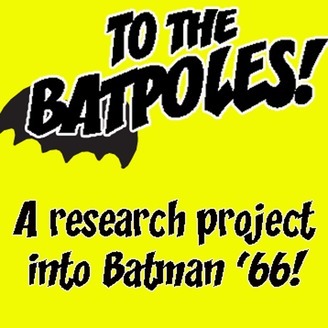 In this episode, he tells us about his selflessness, his business sense, and how the trajectory of Dozier's 1965 series The Loner tracks with that of Batman. Also, more circumstantial evidence that seem to disprove the Fourth Season Myth! Plus, the Amosdoll Music version of the theme, and your response to our discussion of the Funny Feline Felonies! ABC's notes on Hi Diddle Riddle - caviar etc. 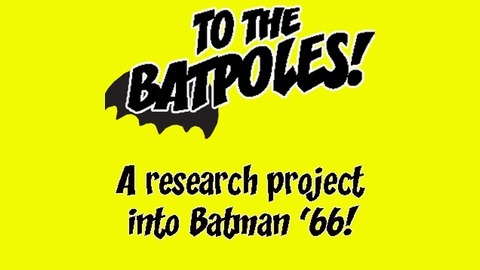 More Semple reaction to Hodge script: "Worse than I thought"
Next script: "The Secret of the Impossible Crimes"
Discuss this script on the 66 Batman message board!